Do you have some computer tasks that you’ve put off? Sometimes it’s tough to find the motivation to work on a big project when you get a free weekend. We’ve covered some of these important projects for Windows users 8 Windows Projects for the New Year 8 Windows Projects for the New Year Does Windows bore you? Maybe it's time to think about how you can give it a fresh look and fix some of its problems. We offer a list of projects to get you started. Read More before. But that doesn’t mean that smaller projects aren’t just as important. Let’s discuss some small-scale Windows projects you can complete in an hour or two on the weekend. Chances are that your PC came with some junk programs that you don’t use or care about, known as bloatware. These include apps that duplicate system functionality, don’t work without you paying, or serve no useful purpose. Typically your computer’s manufacturer loads them on, but these days Windows 10 also includes garbage like Candy Crush. They waste space on your PC and can use system resources too. To remove bloatware manually, head to your list of installed apps. In Windows 10, you’ll find this at Settings > Apps > Apps & features. Scroll through the list, and when you find something that you don’t want, click it and select Uninstall. If you’re not certain, check Should I Remove It? to make sure it’s not actually an important program. If you have lots of bloatware to remove, using the above method isn’t your most efficient option. Instead, you should follow our guide to quickly removing bloatware Tired of Bloatware? How to Purge Windows 10 Store Apps Tired of Bloatware? How to Purge Windows 10 Store Apps For Microsoft, Windows 10 is a cash machine. With future updates, more apps will be pre-installed and promoted on the Start Menu. Let us show you how to easily remove pre-installed Windows Store apps. Read More and how to avoid it in the future How To Remove Bloatware & Avoid It On New Laptops How To Remove Bloatware & Avoid It On New Laptops Tired of software you never wanted consuming your laptop's resources? Your computer isn't free ad space. Here's how to get rid of bloatware. Read More . You probably know that Windows builds up junk files over time 7 Hidden Windows Caches & How to Clear Them 7 Hidden Windows Caches & How to Clear Them Cached files can take up a lot of bytes. While dedicated tools can help you free up disk space, they might not clear it all. We show you how to manually release storage space. Read More . Thus, every once in a while, cleaning out temporary files helps you reclaim space. But you can set up a cleaner to run on a schedule so you don’t have to remember to do it yourself. In fact, Windows 10 has this functionality built into its latest versions. Visit Settings > System > Storage to have a look at the Storage sense options. Here, you’ll need to turn the Storage sense slider on to let Windows automatically clean up old files. Click Change how we free up space to enable three options. These let Windows automatically delete temporary files, the Recycle Bin contents, and files in your Downloads folder that you haven’t used in a month. Follow our complete guide to cleaning Windows The Best Way to Clean Windows 10: A Step-by-Step Guide The Best Way to Clean Windows 10: A Step-by-Step Guide If your Windows 10 PC needs cleaning, here are the tools and a step-by-step process to get it squeaky clean again. Read More for more tips. Windows Defender got a bad rap when it was new. It lacked basic features, didn’t perform well on malware tests, and most people continued to use a third-party antivirus. While solid third-party options still exist, for the average user, we think Windows Defender is a great option 4 Reasons to Use Windows Defender in Windows 10 4 Reasons to Use Windows Defender in Windows 10 In the past, Windows Defender was overshadowed by other options, but now it's quite a contender. Here are a few reasons why you should consider dropping your security suite in favor of Windows Defender. Read More . Defender fulfills two critical criteria: it never displays nag screens and doesn’t try to cram in a bunch of trash when you install it — because it’s already built into Windows. Microsoft has incentive to keep Defender solid, and you don’t have to worry about the company behind it bloating it up over time. Other apps like Avast bundle an insane amount of unnecessary software, and half of it doesn’t even work properly unless you pay. 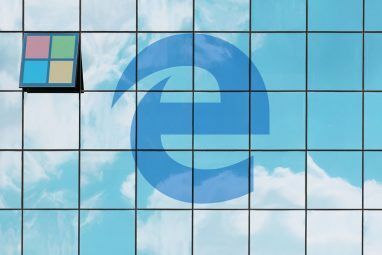 We highly recommend you read the reasoning of Robert O’Callahan, a former Firefox developer, about why third-party antivirus can do more harm than good. 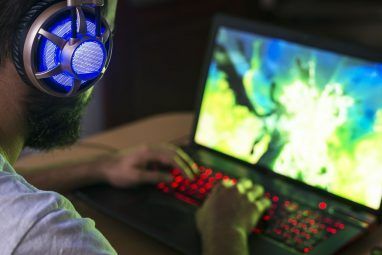 Because it hooks its claws into so many aspects of your PC, it can cause issues that seem like something else’s fault. To swap to Windows Defender, follow the steps in #1 above to remove your current antivirus. Reboot, and head to Settings > Update & security > Windows Defender and click Open Windows Defender Security Center. If you see Your device is being protected, then Windows Defender is active. An antivirus can’t protect you from everything 3 Things Your Antivirus Doesn't Take Care Of 3 Things Your Antivirus Doesn't Take Care Of Antivirus softwre should be installed on every computer, but what doesn't it take care of? Which aspects of your antivirus could leave you or your business exposed, even when you've installed and updated? Read More . But combined with smart browsing habits 10 Easy Ways to Never Get a Virus 10 Easy Ways to Never Get a Virus With a little basic training, you can completely avoid the problem of viruses and malware on your computers and mobile devices. Now you can calm down and enjoy the internet! Read More and other security software, Windows Defender will stay out of your way while protecting your PC. On Windows, there’s no built-in central utility to update all your apps. Sure, the Store has an Updates page, but you probably don’t get much of your software Desktop vs. Windows Store Apps: Which Should You Download? Desktop vs. Windows Store Apps: Which Should You Download? On Windows 10 and 8.1, you can either download and install a Desktop applications from the web, or you can get an app from the Windows Store. We explore the differences between Desktop and Store... Read More from there. It’s not glamorous, but a worthwhile project is making sure that all your installed programs are up-to-date. This will ensure you have the latest security patches, and can also bring new features. Some apps update themselves, others have an option in their menu, and still others feature a separate program for updating (like Adobe Creative Cloud). In most apps, you can visit Help > Check for Updates or Help > About [App] to trigger a check. Some will also prompt you to update as soon as you open them. You should definitely check your most important apps, including your browser and plugins like Flash and Java Think Flash Is the Only Insecure Plugin? Think Again Think Flash Is the Only Insecure Plugin? Think Again Flash isn't the only browser plugin that presents a risk to your online privacy and security. Here are three more plugins that you probably have installed in your browser, but should uninstall today. Read More (if you still have them installed). If you need some help, try installing a free update utility How to Ensure All of Your Programs Stay Up-to-Date How to Ensure All of Your Programs Stay Up-to-Date Keeping your software updated can be a chore, so why not let FileHippo find updates to all of your outdated programs for you? Read More like FileHippo Update Checker. You can also bundle all programs you want to update together with Ninite and it will automatically install updates for you. Most hardware upgrades, like moving Windows to an SSD How to Move Windows from HDD to SSD to Improve Performance How to Move Windows from HDD to SSD to Improve Performance A Solid State Drive upgrade really improves performance. But how can you squeeze a large Windows installation onto a tiny SSD? Windows users can comfortably migrate from HDD to SSD in very little time. Read More , take too much time for a spot on this list. But one of the easiest ways to improve your PC’s performance These Upgrades Will Improve Your PC Performance the Most! These Upgrades Will Improve Your PC Performance the Most! Need a faster computer but aren't sure what you should upgrade on your PC? Follow our PC upgrade checker to find out. Read More is adding more RAM (random access memory). Depending on your computer, this might be easy, difficult, or impossible. First, we recommend looking up your PC model and to see if the RAM is easy to replace. For a desktop, it should be no problem. Some laptops have a dedicated cover you can remove for easy access to the RAM. However, other laptops don’t have the RAM in a convenient spot. So unless you’re comfortable taking your machine halfway apart, we wouldn’t recommend it. Next, visit Crucial’s website to see what RAM is compatible A Quick & Dirty Guide to RAM: What You Need to Know A Quick & Dirty Guide to RAM: What You Need to Know RAM is a crucial component of every computer, but it can be confusing to understand if you aren't a tech guru. In this post, we break it down in easy-to-grasp terms. Read More with your system. On the main page, you’ll see two options. The Crucial Advisor tool lets you enter your computer’s manufacturer and model for recommendations. You can usually find this right on your machine, but if not, use the Crucial System Scanner. This will scan your system automatically and provide the needed information. Once you’ve found your PC with either option, you’ll see Crucial’s stock that’s compatible with your system. On the left side, Crucial lists the maximum RAM your computer can take. Then, you’ll have to decide how much RAM you need How Much RAM Do You Really Need? How Much RAM Do You Really Need? RAM is like short term memory. The more you multitask, the more you need. Find out how much your computer has, how to get the most out of it, or how to get more. Read More . Note that in most cases, you’ll want to buy sticks of RAM in pairs. So if you want to upgrade to 16GB, you should buy two 8GB units. Depending on your computer, you could have free slots for more RAM, or you may have to replace the existing RAM. Speccy can tell you how many RAM slots you have free if you’re not sure. Once you order the RAM, it’s simply a matter of installing it. This will differ by computer, so check our guide to building a PC How To Build Your Own PC How To Build Your Own PC It's very gratifying to build your own PC; as well as intimidating. But the process itself is actually quite simple. We'll walk you through everything you need to know. Read More for some pictures and advice. Are you tired of using the same programs? You should spend your project time installing some fresh apps to improve your experience. If you don’t have any of the apps everyone should install first New PC? 15 Must-Have Windows Applications You Should Install First New PC? 15 Must-Have Windows Applications You Should Install First Got a new computer or just reinstalled Windows? These essential apps are must-have software for Windows 10, no matter what! Read More , definitely start with those. 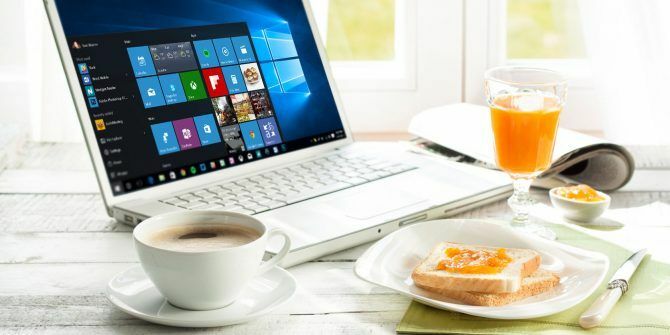 Then, go further by replacing some default Windows apps with superior alternatives 7 More Default Windows Apps You Should Replace 7 More Default Windows Apps You Should Replace Windows includes a lot of default software, but you can find superior alternatives for many tools. Here are seven more you should consider replacing. Read More . If you’re feeling bold, try some of the best Modern Store apps The Best Free Windows Store Apps Worth Your Time The Best Free Windows Store Apps Worth Your Time The Windows Store can be intimidating. We went in to find the apps you should try. These lesser-known gems convinced us with great service and functionality. Read More . Consult our list of the best Windows software The Best PC Software for Your Windows Computer The Best PC Software for Your Windows Computer Want the best PC software for your Windows computer? Our massive list collects the best and safest programs for all needs. Read More for dozens more choices. You’re bound to find something new and exciting! Windows 10 is a few years old, but many people refused Microsoft’s free upgrade offer and are still hanging onto Windows 7 or 8.1. Yet you can still upgrade to Windows 10 at no cost as long as you have a valid license key. We’ve written a complete guide to upgrading to Windows 10 How to Safely Upgrade to Windows 10 and Downgrade Back to Windows 7 or 8.1 Again How to Safely Upgrade to Windows 10 and Downgrade Back to Windows 7 or 8.1 Again Still using Windows 7 or 8.1? We'll show you how to upgrade to Windows 10 for free. We'll also explain how you can roll back to your old Windows version. Read More , including how to roll back to Windows 7 or 8.1 if you don’t like it. Note that Microsoft will close the loophole that still allows you to upgrade to Windows 10 for free You Can Still Upgrade to Windows 10 for Free... If You're Quick You Can Still Upgrade to Windows 10 for Free... If You're Quick If you haven't yet switched to Windows 10, either by upgrading your current PC or by buying a new one, it's not too late. As long as you're reading this in 2017. Read More by December 31, 2017. 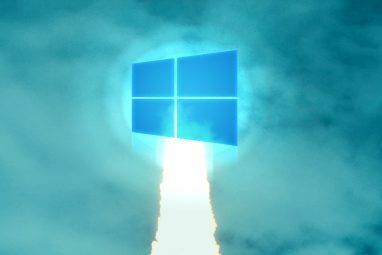 If you’re already using Windows 10 and hate it, why not stop complaining about it and make a project out of downgrading back to your old version 3 Ways to Downgrade Windows 10 & Rollback to Windows 7 or 8.1 Indefinitely 3 Ways to Downgrade Windows 10 & Rollback to Windows 7 or 8.1 Indefinitely You've either upgraded to Windows 10 to secure a free copy or were upgraded forcefully. We share three tricks that will help you downgrade now or later and save you if your upgrade failed. Read More ? It’s not as easy as the built-in rollback option, but still possible. Just make sure you perform a few checks before upgrading to Windows 10 Do This Before You Upgrade to Windows 10 Do This Before You Upgrade to Windows 10 On July 29, the free Windows 10 upgrade offer expires. We show you how to prepare for a smooth upgrade. Read More to ensure it goes smoothly. What Windows Projects Will You Tackle This Weekend? We’ve shared seven solid projects you can complete in a few hours. These will all improve your Windows experience, so they’re worth doing if you feel a little stale in your computing. You might have put them off for a while in favor of other tasks, but it will feel great to buckle down and improve your PC! For another project idea, try taking control of the Settings in Windows 10. Don’t have the time to try one of these projects? You can speed up Windows 10 in under 10 minutes Speed Up Windows With 10 Tricks and Hacks Speed Up Windows With 10 Tricks and Hacks Looking to speed up your computer without spending a lot of time? Here are 10 tweaks to make Windows faster that take 10 minutes or less. Read More with quick tricks. What other Windows weekend projects would you recommend to users? Did doing these improve your Windows experience? Share with us in the comments! Explore more about: Computer Maintenance, Computer Memory, Windows 10, Windows Defender, Windows Upgrade. 5 Ways to Transfer Data From PC or Laptop to Android PhoneWhat Is Microsoft XPS Document Writer and How Do I Remove It?